Kids' television comes under attack from all sides. 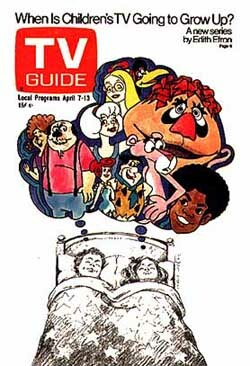 The Children's Television Workshop, producer of Sesame Street, declares that commercial programming leads to a "warped value system" and "possible psychic damage" for kids. Action for Children's Television (ACT) rails against cartoon violence; Parents magazine publishes a piece called "How TV Threatens Your Child"; and the Yale University Child Study Center argues that kids' programming is all junk.